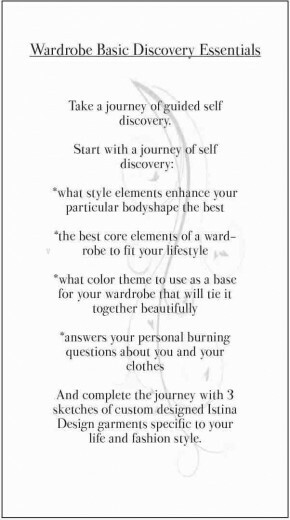 7- 3 design sketches from Christina of garments that could be custom made for you by Istina Design based on the information gathered during this exploration of your fashion and life style. The receipt sent to you upon purchase will contain 6 urls. They are links to the elements to discover your wardrobe essentials.